simple extraction of teeth with significant bone loss or large caries. surgical extractions of broken teeth. Simple extractions of wisdom teeth. Extraction of over retained baby teeth. Wisdom teeth are 3rd molars and the last teeth to come out. They usually come out around the age of 17-25. Many people don’t have adequate room in their jaw for these teeth to erupt and be healthy. They can cause pain, swelling, crowding and even damage to the adjacent teeth. 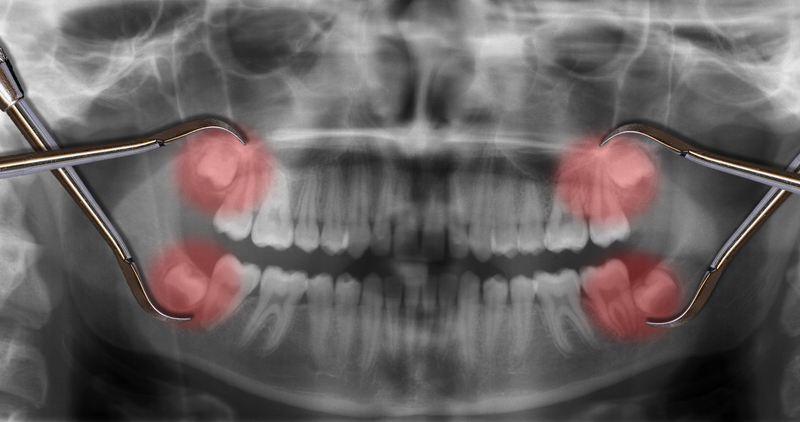 Early detection and removal of wisdom teeth can help make the healing process quicker and more comfortable. Set up a consult today to talk to the doctor if you need your wisdom teeth removed.